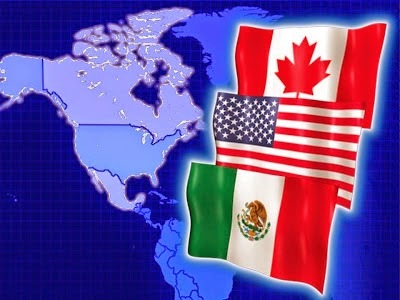 The globalist controlled Council on Foreign Relations (CFR) have called on the U.S. to work more closely with Canada and Mexico to build a new North American partnership for the future. The pivot to North America would focus on greater trilateral cooperation in areas such as energy, economic competitiveness, border management, law enforcement and continental perimeter security. 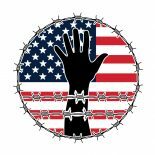 Throughout the years, the incremental steps towards a North American Union have been used to further chip away at the sovereignty of all three NAFTA countries. To help build on the trilateral energy meetings, the Task Force suggested, “the creation of a North American Energy Council to provide advice to federal policymakers and highlight issues that the three independent legislative branches could address.” The council’s responsibilities would include, “identifying improvements to the safety and security of cross-border energy infrastructure; areas for cooperation on environmental and safety standards; energy-efficient technologies and practices; and barriers to collaboration.” Although it has since been disbanded, the North American Energy Working Group has already laid some of the groundwork with regards to trilateral energy integration. When it comes to North American regulatory issues, they are currently being managed through two separate bilateral bodies, the U.S.-Mexico High-Level Regulatory Cooperation Council (HLRCC) and the U.S.-Canada Regulatory Cooperation Council (RCC). As part of efforts to foster trilateral regulatory alignment, the Task Force recommended that, “each council identify particular regulatory topics that are candidates for mutual recognition or harmonization. The councils could also explore continental cooperation in creating new regulations. Canadian and Mexican observers should be able to attend the meetings of the other country and the United States.” In August, the U.S. and Canada released the RCC Joint Forward Plan, which builds on the initial 2011 Joint Action Plan. Not only does it deepen cooperation in new areas, but it sets the stage for regulatory departments and agencies in both countries to essentially become permanent bedfellows. The new regulatory plan also noted that, “As part of the 2014 North American Leaders Summit commitments, representatives from the Mexican Government will be invited to observe the government-to-government and stakeholder sessions.” This also applies to Canadian officials being able sit in on the HLRCC meetings. The NAFTA partners are taking steps to promote trilateral regulatory convergence. At the Third Annual Beyond the Border Executive Steering Committee, “An observer from the Mexican Foreign Ministry was present in line with the commitment of the North American Leaders’ Summit to have observers attend the respective meetings of the Mexico-U.S. 21st Century Border Meeting and the BTB Executive Steering Committee.” This is part of efforts to link the two bilateral border arrangements and to see if lessons can be applied from one initiative to the other. Some of these security issues are being addressed through the Meeting of North American Defense Ministers, but the Task Force is pushing for more bilateral security initiatives to be expanded trilaterally. To advance shared continental perimeter security, they proposed that Mexico also be included, “in the U.S.-Canada Shiprider program, which permits joint cross-border law enforcement operations in the maritime environment, and the Integrated Border Enforcement Teams (IBETs), which are U.S. and Canadian multiagency law enforcement groups that focus on cross-border criminal activity.” Many of the Task Force recommendations would further lay the foundation for a fully integrated North American security perimeter. In a letter following the recent attacks in Canada, the co-chairs of the CFR Task Force, David Petraeus and Robert Zoellick offered their sympathy and support. They referred to themselves as North Americans and stated how, “The tragic events in Canada further underscore the importance of the partnership between our three countries.” During his visit to Canada, U.S. Secretary of State John Kerry also expressed his condolences and pledged to further strengthen both countries security relationship in the fight against terrorism. At a joint press conference with Foreign Minister John Baird, Secretary Kerry pointed out that the U.S. and Canada would, “continue to intensify our law enforcement, border security and intelligence sharing.” Now might be the perfect opportunity for both countries to finally unveil the Next Generation pilot project, which was scheduled to be launched back in 2012. The joint policing initiative is a component of the Beyond the Border Action Plan and would allow teams of cross-designated officers to operate on both sides of the border in areas such as intelligence and criminal investigations. According to an RCMP memo, it has been delayed due to a U.S. request that its agents be exempt from Canadian law, which has raised serious concerns regarding sovereignty and police accountability. The bilateral program is part of the process of further acclimating joint law enforcement operations in North America. This entry was posted on November 7, 2014 by conspiracyanalyst in Global Government, North American Union, US News and tagged North American Partnership, North American Union.